The Wikipedia says Digital marketing is marketing that makes use of electronic devices such as computers, tablets, Smartphone’s, cell phones, digital billboards, and game consoles to engage with consumers and other business partners. Internet Marketing is a major component of digital marketing. During my journey with Arete as Digital marketing Solutions Provider, I have come across, many people, who are under the misconception that digital Marketing is about managing a Face book Page. Having a face book fan page and increasing the likes by asking your friends and friends of friends to like your page is NOT Social Media marketing. 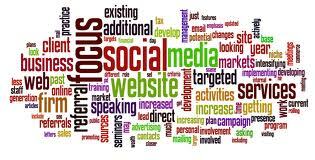 Digital marketing is about promoting your company or brand using one or more of the various. It involves strategically planning your campaigns using the digital channels, such as email, cellular phones, social networks and the like to catch the attention of your Target Audience, to keep in touch with your customers, to promote your brand to the correct audience. This could be s simple as sending a birthday greeting to your customer's smart phone, or sending a personally relevant coupon by SMS to the customer or a weekly newsletter than includes updates and specials. To give real time information to your customers about your organization. To offer quick, fast and responsive customer service. Remember the purchase funnel which we learnt in our Marketing lessons? Weather it’s the traditional marketing or a digital marketing, the right way is to get a prospect’s attention, inspire their interest, overcome their objections and get them to act. 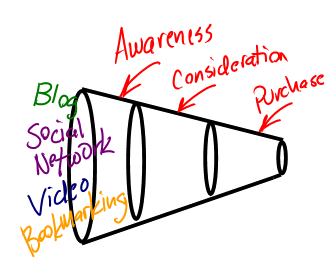 The implicit assumption is that the more people you put into the front of the funnel, the more sales you’ll get out the end. 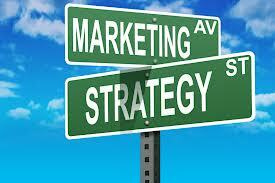 Then how is digital Marketing different and why is it so effective? , you might ask. Digital marketing involves a true value exchange of information. It is no longer a one way communication. You get exposed to consumers who interact with your brand continuously because they are getting to see more than just see you advertisement and be happy about it. They will now research your product. This shift requires a wider skill set to integrate all the channels of digital marketing and build your online brand. Beyond just making making eye catching ads, and posting your product pictures to your facebook page, Digital marketing effort requires use of technologists, usability experts community managers, retail specialists and sometimes even a mathematician or two for those calculated strategically planned moves. To find out what is the appropriate digital marketing channel for you, we urge you to get in touch with us. We will examine the needs and resources of your organization. Whatever channel you are targeting, mobile, email or social marketing, or an integration of these, Arete is here to offer you simple, effective, advanced and comfortable solutions. At Arete, we offer customized web solutions, Software development solutions, Digital Marketing solutions & Corporate Training. We are a team of highly experienced engineers working on Dot NET & PHP platform. We also have in house designers and SEO certified professionals. I, Padmaja Duvvuri, Solutions Visionary and Marketing Strategist at Arete am a Tripple MBA Post Graduate in HR, IT and Business Management. Will be glad to hear your reviews, feedback, debates about this post.